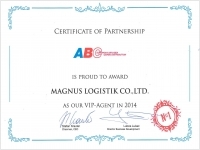 Today Magnus Logistik is a privately-owned freight forwarder in Thailand. We are members of Thai Customs and Transportation Association of Thailand (CTAT) and Thai International Freight Forwarders Association (TIFFA). 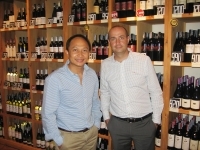 Most of business activity is import business and together work with our good partner all over the world. August 21st, 2015. Warm welcome to Mr.Viktor Kastelic, Managing Director of ABC European Air&Sea Cargo Distribution d.o.o(Slovenia) take a visit Magnus Logistik during Asia business trip. Congratulation to our long relationship partner from Italy Mr.Grandini and his CEO,Mr.Giorgio Lusardi of LOG-FREIGHT Srl. 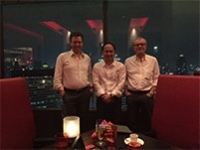 took a visit Magnus Logistik and presented new company on Dec3,2014 at Landmark hotel.